November 9, 2016 By Amber Leave a Comment This post may contain affiliate links. Read my disclosure policy here. Around the holidays, life always starts to get hectic! 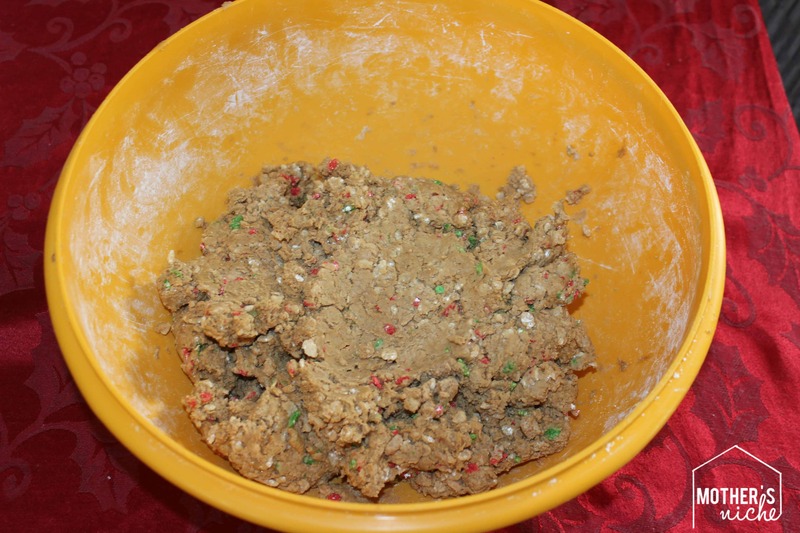 If you’re looking for a fun and simple gift to give to your neighbors, this recipe is a MUST! It has successfully caused mumbles of joy and smiles brighter than the north star to everyone who eats one…two…three… Well, everyone except my mom because she doesn’t like peanut butter. 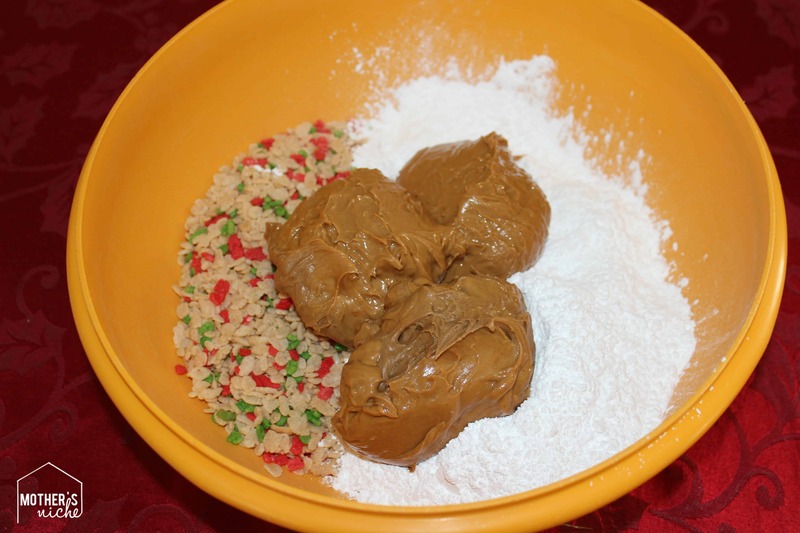 If you don’t like or can’t eat peanut butter, then this recipe isn’t for you. BUT if you do like/love peanut butter, YOU’LL LOVE THIS! 1. Mix all ingredients in a bowl. Make sure you mix well! It’s easiest if you use your hands, but make sure you wash them well before doing so! As a kid, this was always my favorite part! Half-way mixed. 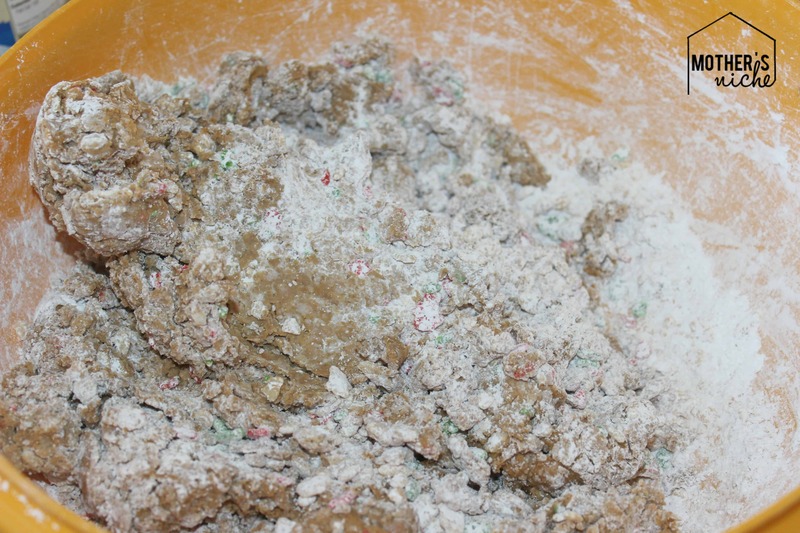 If your batter looks like this, keep mixing! This is what your batter should look like when you’re done mixing! 2. Form into little balls. Take a good pinch of batter and roll it in between the palms of your hands until it forms a little ball, about an inch in size. If the batter is too sticky, then add more powdered sugar. If it’s falling apart, then add more peanut butter. 3. Melt dipping chocolate. Whether you melt it in the microwave or over the stove is up to you. Just make sure you heat it at short intervals in the microwave or on low heat on the stove. If your chocolate gets too hot too fast, it won’t melt and will begin to harden. 4. 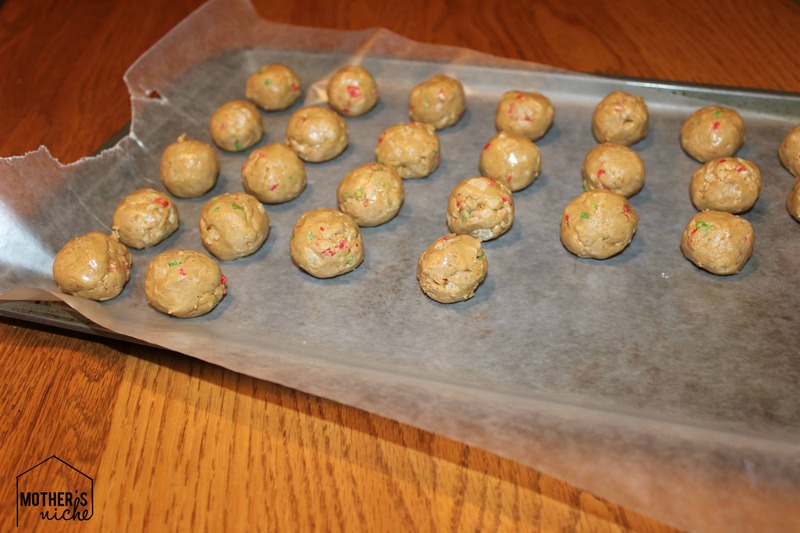 Dip your peanut butter balls! Here’s where you can get creative! 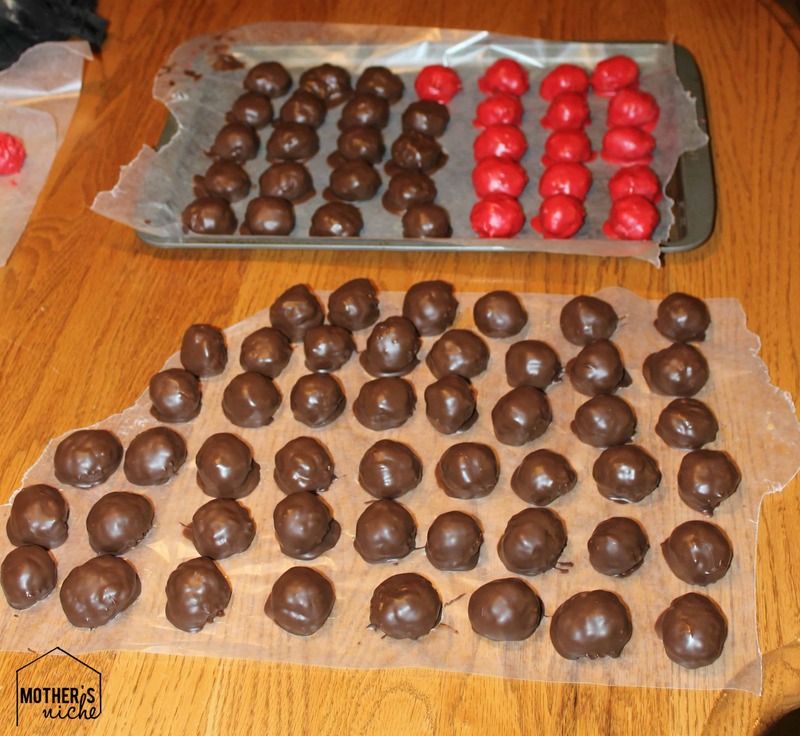 Using a fork or a spoon, roll your balls around in chocolate and drop them onto a baking sheet or sheet of wax paper. 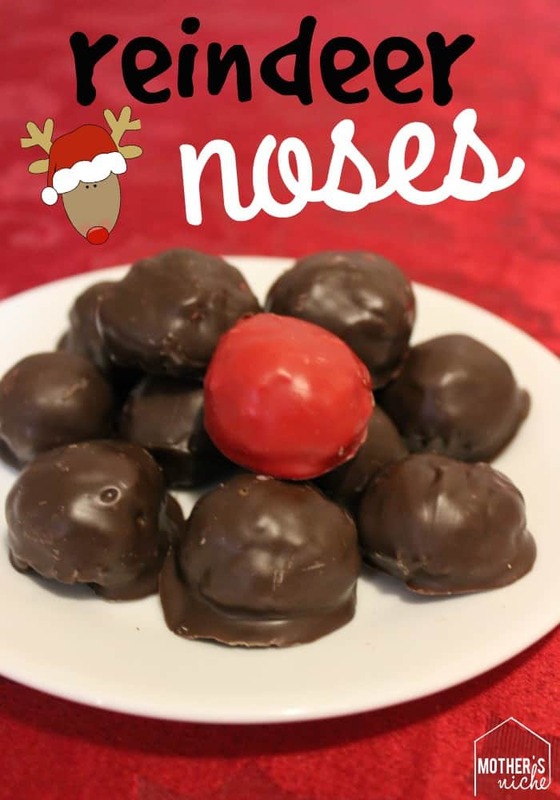 If you like making reindeer noses like me, I dip mine in milk chocolate and red melting chocolate. I’ve also done white chocolate before and it’s really yummy! 5. Let cool. Letting them sit at room temperature, however, if you want them to cool faster, try placing them in the fridge or in a clean spot in the garage. We always put ours on top of our deep freezer in the garage! 6. Package! There are a lot of different ways you can package these to give away! This year I chose a mason jar with a cute reindeer print-off and some ribbon. Get creative and have fun with it! Do YOU have any fun treats you LOVE to give for Christmas? !